Blue + Green + Yellow - color block. 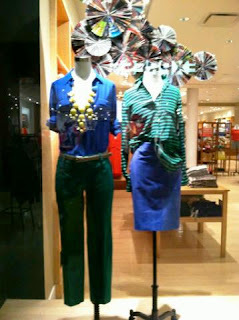 How cool and casual is this little look from the J.Crew window last night? These are pretty simple pieces and you don't have to spend a fortune on them. Basic pants in hunter green, blue blouse and a pop of color necklace = fabulous weekend outfit.